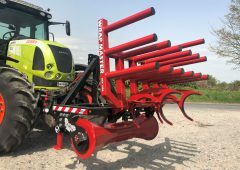 Claas is making have a number of new updates to its baler ranges. 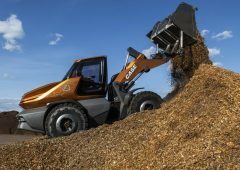 Both the Variant 385-360 and Quadrant baler ranges are getting new features for the upcoming season. 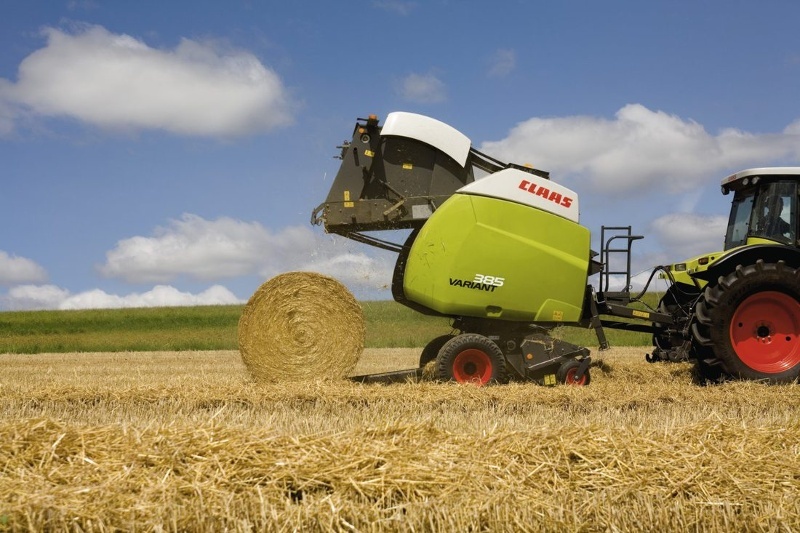 The Variant 385 – 360 range of variable round balers from CLAAS has been given several new features for the 2014 season. 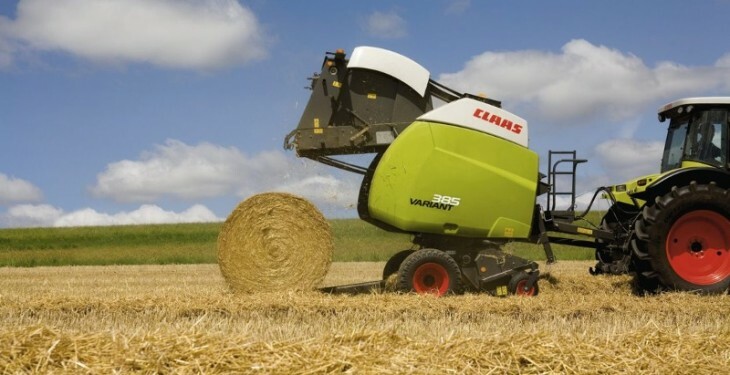 Claas says the variable chamber is ideal for baling hay, straw or silage, due to the freely selectable bale diameter and a higher level of compaction in comparison with fixed chamber systems. 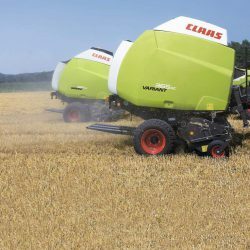 According to Claas, for 2014 Variant 360, 365, 380 and 385 models will now be available with the new 2.35m wide XXL pick-up, giving it the widest pick-up on the market for round balers. 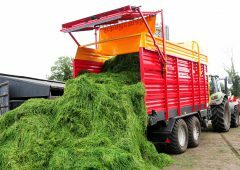 By enabling the Variant to bale wider straw and grass swathes, this ensures that the high performance potential of the baler can be fully exploited. 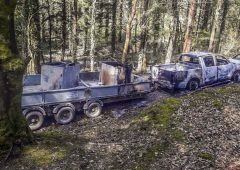 It says not only has the pick-up been made wider it has also been given automatic chain tensioning. 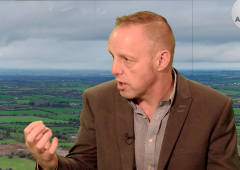 This helps reduce maintenance time, so more time can be spent baling. 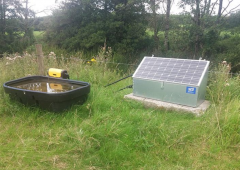 The oil reservoir has also been enlarged from 3.0 litres to 6.3 litres and incorporates an integrated filter and continuous chain lubrication to again help reduce maintenance time. 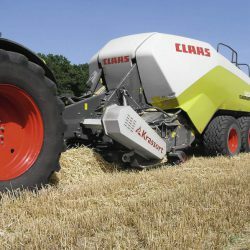 In addition Claas also highlight, the hydraulic performance of the balers has also been increased, so the bale discharge is now completed within just 6 seconds, with the result that the process of opening and closing the tailgate (without tying time) is now 30% quicker than with the old models. Also as a new option, Variant balers can also be fitted with the moisture sensor from the Quadrant range. 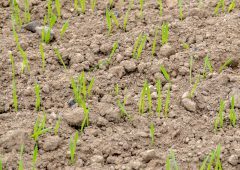 Class claims the 2014 updates boost Quadrant outputs. 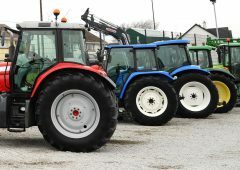 It says since the first Quadrant baler was launched in 1988, the it has been popular on account of its ideal size for transport, high bale density and output. 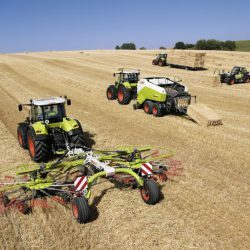 For 2014, Claas now offers the widest range of bale dimensions and cutter systems on the market, the most popular being the 120 x 70 cm bale, produced by the Quadrant 3200 and Quadrant 2200 Advantage. 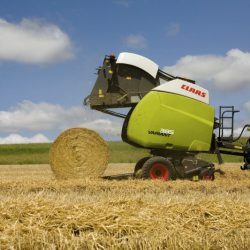 It says in total, the Claas quadrant big square baler product range now includes six models (3400, 3300, 3200, 2200, 2100, 1150) with five bale sizes from 80 x 50 cm to 120 x 100 cm and three different feed and cutting systems. 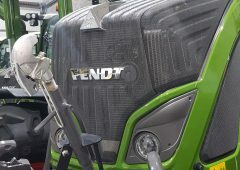 Claas has outlined that other features of the Quadrant range include also include the hydraulically-lowered drop-floor in the cutting chamber, which is lowered automatically if the unit is overloaded so allowing the driver to remove any possible blockages without leaving his seat. Both balers also share the unique pre-chamber which helps increase bale density by holding the material and pre-compressing it ahead of the main chamber. The operator has the option of three settings, all selected using the control terminal from inside the cab.